My friends, I think I'm in love. 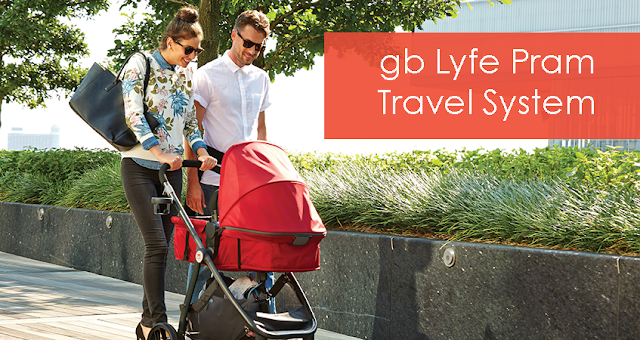 The GB Lyfe Pram Travel System is stylish yet functional travel system that can transform into four different modes of use including when they are ready to sit up, parent facing seat, forward facing seat and the use of the ultra stylish pram. It includes the GB Asana 35 car seat that fits right into the Lyfe stroller. GB also offers the Fit Loc Protection System that helps you with easily installation as well as offers you comfort knowing your baby is using one of the safest car seats available. Some of my favorite features of this travel system include a two-handed, on step folding process, an expandable canopy and of course the seat that converts to the European style pram. 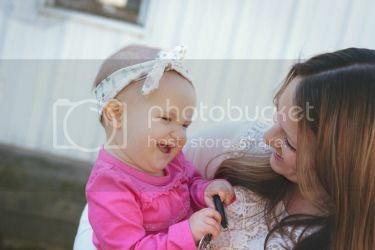 For more information, be sure to check out Babies 'R' Us! Join me for the #EnjoyLyfe Twitter Party on March 9th from 1-2 pm. We will be sharing our busy lives and discuss how the GB Lyfe Travel System can help keep Mom and Baby happy no matter where life may take us! Be sure to follow @MomCentral and @GBChildUSA and use the hashtag #EnjoyLyfe to keep up with the party! Prizes include $50 Babies 'R' Us gift cards for 2 pre-party winners and 6 party winners as well as 1 lucky grand prize winner who will get the GB Lyfe Travel System to enjoy with their family!